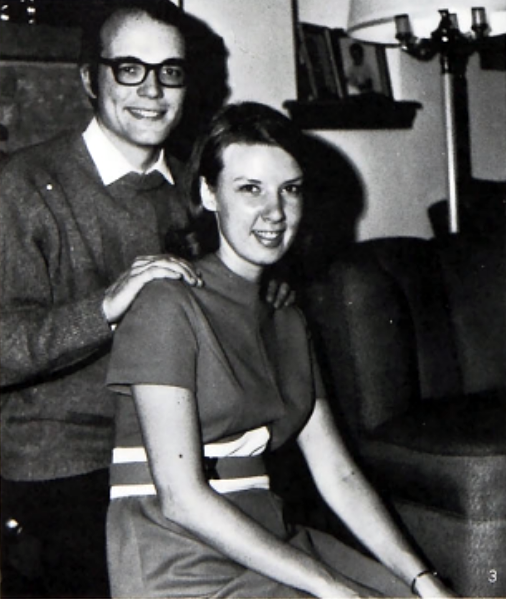 That concern is unsurprising given the substantial uptick in inductees over the previous years, and highlights one of the many reasons examining the draft at Bethel is critical: the draft was a major source of anxiety for the men on campus — and their mothers, wives, girlfriends, and female friends. 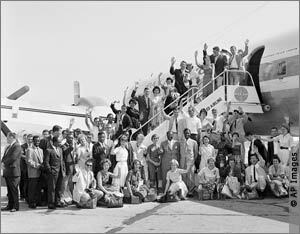 Furthermore, it was an issue which placed professors and administrators in a difficult position, one which required them to serve as counselors, confidants, and occasionally, conspirators for those who chose to resist or flee the country. Importantly for Bethel, the draft also prompted serious reflection on what it meant for Christians, as self-proclaimed disciples of Christ, to follow the man who claimed to be the Prince of Peace — reflection which sometimes forced students on strength of conscience towards uncomfortable and inconvenient answers. Finally, while the two World Wars had seen the pervasive mobilization of American society towards military production, Vietnam saw no comparable public reorientation, certainly not from the generation of youthful baby-boomers for whom total war was their parents’ experience. Of all the problems the Vietnam War raised then, it was the draft which most directly affected students’ lives, claiming as it did the authority to uproot and fling young men across the globe as minute components in the American military apparatus. The Selective Service system as it stood on the eve of the Vietnam War was the inheritor of a long history of both innovation and continuity. Although American men had faced systematic involuntary conscription as early as the Civil War, the origins of the modern draft system lie in World War I. The Selective Service Act of 1917 had established the basic organizational parameters of the modern system, including a reliance of local draft boards made up of ordinary citizens to meet quotas and adjudicate draft appeals, the principle of deferments for certain individuals, and legislative mandate which required periodic renewal. The Act also enshrined two underlying principles: the scientific management of manpower resources and the notion of an egalitarian, universal obligation for public service. Although clearly rooted in the early 20th century ethos of technocratic management and expansionary democracy, those principles continued to guide the draft system through a series of amendments to its end in 1973.⁷ The general structure of the draft, however, remained unchanged. I-A-O: Conscientious Objector (CO), available for all non-combatant military service. 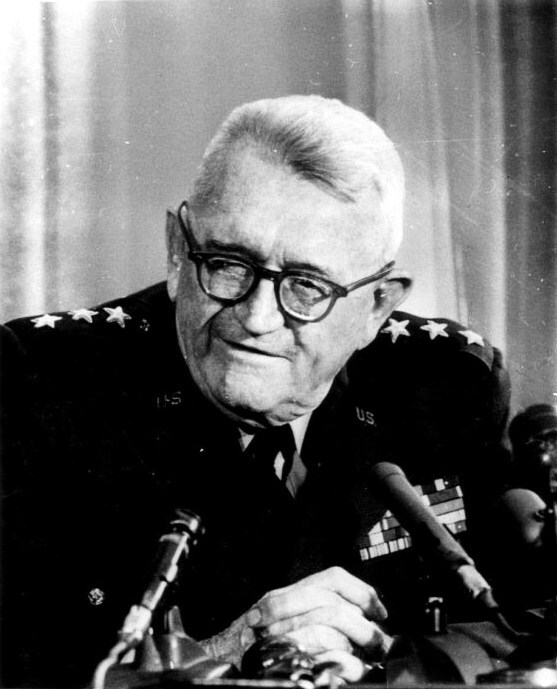 Thus, on the eve of the escalation of the Vietnam War, the basic structure of the draft system had been largely untouched since 1948, save for periodic tinkering with classifications and deferments in response to changing manpower needs and demographic shifts. Two facts are worth noting: first, the draft had operated continuously since World War Two, inducting anywhere from over half a million men in 1951 during the Korean War to as few as 82,060 in 1962. 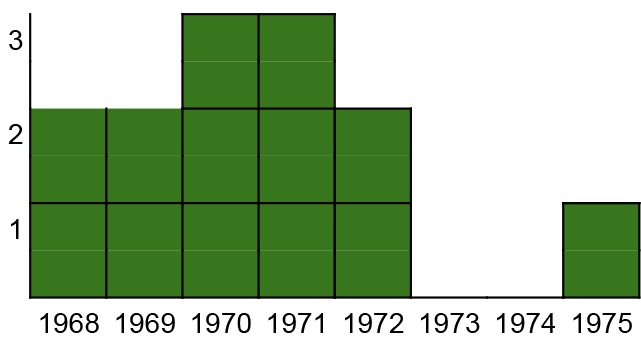 And second, the draft enjoyed a relatively high acceptance, largely due to the minuscule proportion of draftees compared to the total draft pool; as late as 1965, over sixty-one percent of senior high school students thought the draft was fair.¹² This figure would decline precipitously through the end of the decade. 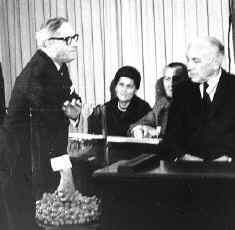 Yet before the protests of the 1960s the draft system was widely accepted. This central paradox of the draft — that a system of mandatory conscription once flourished in a country obsessed with individual liberty — is partially accounted for by the use of local boards; by delegating authority, the SSA wisely tapped into a vein of historic American republicanism. In doing so, it protected itself from significant reform, even through the anti-war and anti-draft protests of the 1960s. Although buffeted by waves of dissention, the draft system would persist through the entire war. Because these two articles were not written by a Bethel student, they indicate few concrete facts about evolving attitudes toward the draft on campus. Yet their inclusion in the Clarion, combined with no wellspring of debate in the letters to the editor section in the issues after, suggests that attitudes were changing. The strident anticommunism and hawkishness of Doug Ring and John Sailhamer had disappeared and in its place were articles which sought to inform and document the draft debate. At Bethel, the changes to the draft law had few repercussions. The majority of students were unaffected, although the rules for acceptable degree progression were tightened. College student deferments ended upon the completion of a four year degree (with one quarter of the total degree credits completed each year) or upon the student’s twenty-fourth birthday, whichever came first. 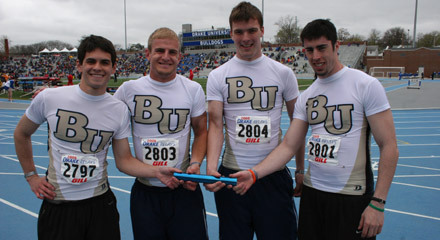 As most of Bethel’s students were undergraduates, the changes had little practical effect except for increasing the pressure to successfully pass courses. Seminary students retained their IV-D divinity deferment, a decision which made possible the actions of one anonymous Bethel senior. 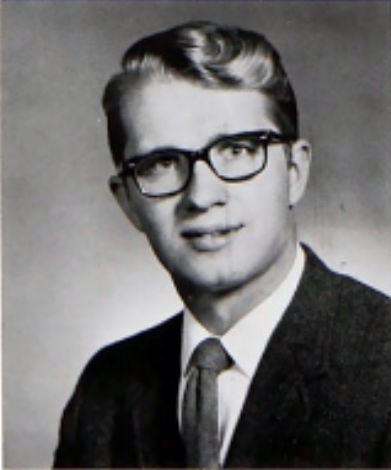 Philip Linden, who graduated with a psychology degree in 1967, remembered a classmate who enrolled in Bethel Seminary, not out of interest in a career in the pastorate, but as a means of avoiding the draft. 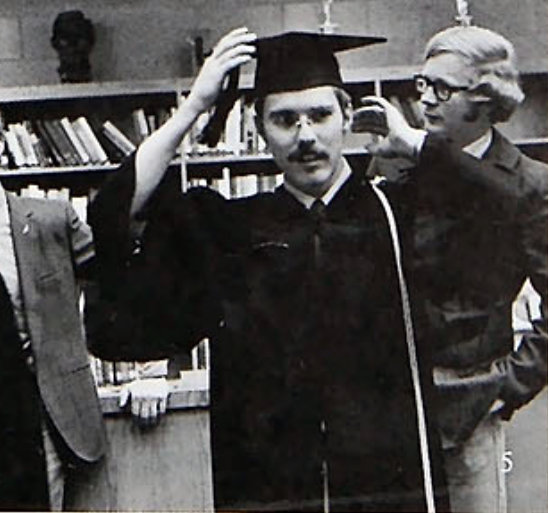 That student, Linden recalled, was hauled before Gordon Johnson, the Seminary Dean, and dressed down for his actions. Despite Johnson’s fury over someone using seminary to escape the draft, there was little he could do.³² Perhaps the most visible change at Bethel were the periodic updates the Clarion ran to update students on the new regulations. The appearance of recruiters for either the military or peace-movements on this campus is not the be taken as a sign of endorsement by this Association. Recruiters for the military should not be allowed on this campus so long as the “Hershey Letter” remains in effect. If recruiters from any military or peace organization wish to operate on this campus, that one week’s public notice be required so that those who wish to peacefully oppose or counter-recruit or inform may have an opportunity to do so. Aside from fellow Senator Greg Taylor’s request for more information about the Hershey Letter, the meeting ended with no further comment. Recruiters for the military should be allowed on this campus; however, it is the opinion of the Student Association that the Hershey letter is not in the best interests of the Bethel College Student Association, the students in general, and to the country, and it is the opinion of the Student Association that the ‘Hershey Letter’ is unfair and unconstitutional. If recruiters from any military or peace organization wish to operate on this campus, then one week’s public notice be requested. While hardly a ringing denouncement of the Hershey Letter and the draft, the resolution and the process by which it was arrived reveal some of the ambivalence about the draft among students. Although Sammons and Brown’s minority position was not attractive enough to secure the strong language they desired, but they were able to pull enough swing votes to secure the amendments declaring the Hershey Letter unconstitutional. And in the end, the resolution passed near-unanimously (especially considering the likelihood that the two dissenting votes were from Sammons and Brown). 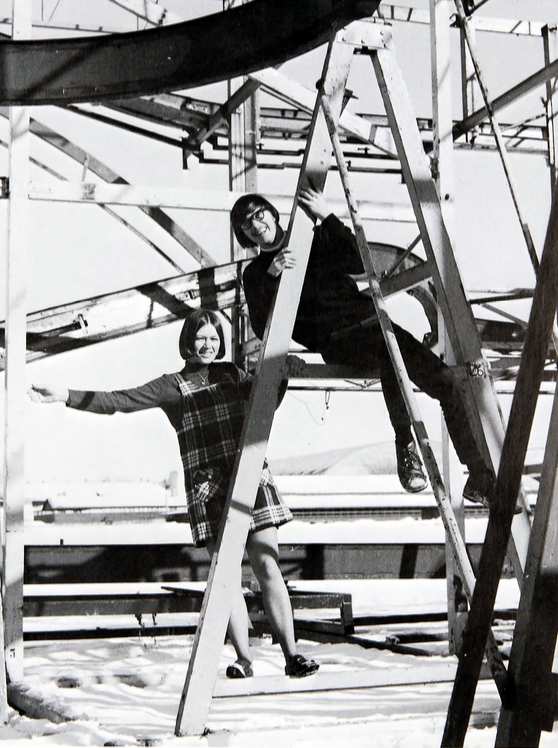 Bethel’s administrators, on the other hand, felt no such ambivalence about banning the Peace literature table in February 1969 during Founders’ Week. 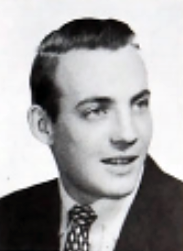 Richard Westby, the former director of the Bethel Center (a evangelical house in Minneapolis’ Seward neighborhood that ministered to urban youth), penned a letter of protest against the ban to the Clarion in which he critiqued the attitudes held by Baptist General Conference (BGC) members about the draft: “Most people are completely ignorant of different alternatives, for the most common comment is ‘When the Army calls, you gotta go.’” It was the role of the church, Westby argued, to “help young men make moral decisions by providing literature, counsel, and opportunities to discuss the complicated social issues of war, peace, violence, draft, resistance, pacifism, international relations, communism,” as “young men of draft age are faced with a momentous moral decision…” As “silence on the part of the church only confirms the belief that the church and the military have an unwritten alliance,” Westby hoped “that the removal of the Peace literature table during Founders’ Week [was] not symbolic of our refusal to face honestly a particularly moral issue.”⁴¹ Westby never received an answer, but there are indications Bethel administrators were well aware of the problem. Recruiting showed no signs of stopping; in November 1972, the Marines were back on campus, this time to no documented protest. That muted reaction to the lottery system shows that most Bethel students were largely accepting of the draft. Absent entirely from Bethel’s campus were the kinds of radical anti-draft activities the Clarion reported early the following year. 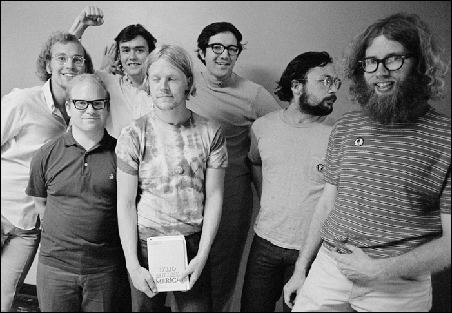 On the evening of February 28th, 1970, eight young activists broke into Twin Cities area draft offices and destroyed thousands of draft records, paralyzing Minnesota inductions for several months.⁵⁵ Five months later the group, calling itself “Beaver 55,” attempted a repeat performance in several rural Minnesotan towns. They were caught, arrested, and tried, with most serving prison sentences. 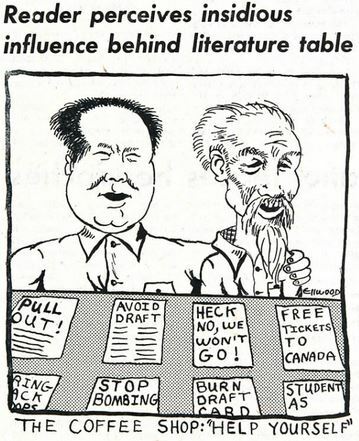 Then on March 30th, the anti-draft group New Mobi encouraged students to flood draft offices with paperwork. 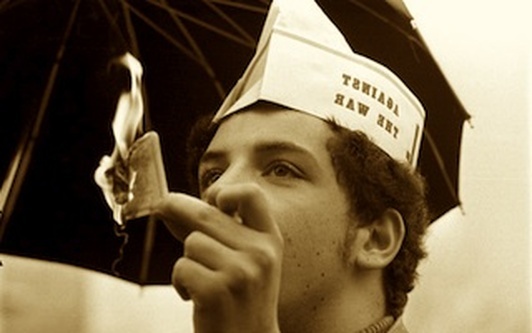 Taking advantage of a SSA regulation that required registrants to inform their boards of changes in their “mental attitude” and a second provision that required boards to place in a registrant’s file any materials deposited, the group argued that activists could shut down the system in a paperwork war.⁵⁶ But those kinds of protests were uncommon, even on other campuses. And while no evidence suggests Bethel students took part in the Beaver or New Mobi events, several did take more radical action against the draft. 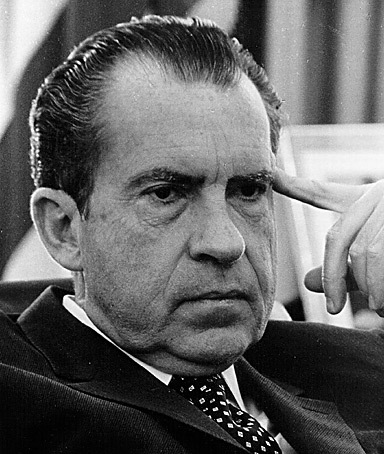 Those stories do illustrate the difficult choices students faced in responding to the draft. Beyond the occasional protest and letter-to-the-editor that appear in the Clarion, students actually needed to come to terms with their own feelings on the draft and take appropriate action. 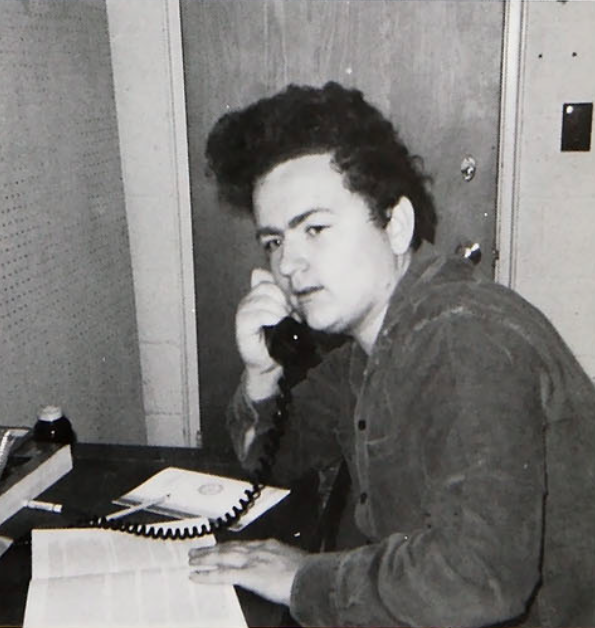 Their options were limited and escalated rapidly in severity: abide by the system and be drafted as lottery number or classification allowed, seek deferments both honestly (by attending college if desired and possible) or dishonestly (enrolling in Seminary without the goal of entering the pastorate), file for Conscientious Objector status, go underground, or flee the country. That Carlson has so many shadowy stories about the draft highlights the role of the professor as a guide, confidant, counselor, and friend to students as they made decisions about the draft. It was a role professors at Bethel took seriously. 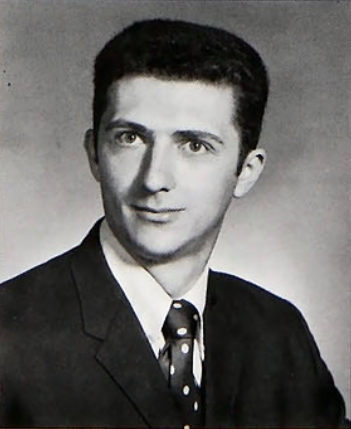 In December 1970, the Faculty Senate republished a seven page article by Richard Goodman entitled “A Selective Service Primer for Counselors.” The document covered the organization of the draft system, the various classifications students could receive, and the deferments available. It also gave advice on personal appearance and demeanor when appearing before the draft board, and cautioned counselors that “the philosophy of such counseling is non-directive. 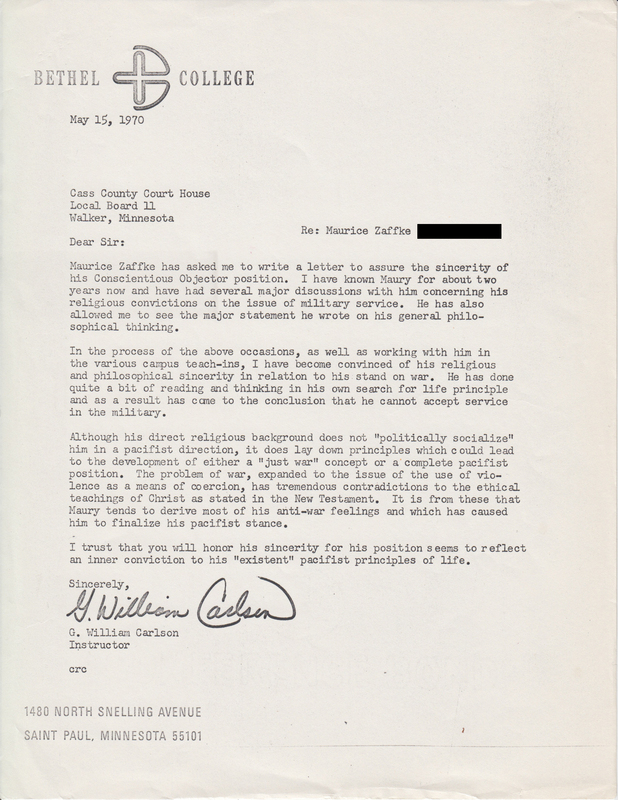 Draft counseling is seen as a service to the individual and as an end in itself.”⁶¹ It was an injunction that Carlson, among other faculty, took to heart, especially when it came to one group of Bethel students: the Conscientious Objectors. The Conscientious Objectors (COs) at Bethel were a small group of students who could not reconcile their Christian faith with the demands of the draft and its entailed killing. They arrived at their stance by many different paths, but were united in opposition to the notion that Christians should participate in the violence of warfare. The documents which form the basis of our knowledge of the Bethel COs require some explanation. As evident from his quotations throughout this article, G. William Carlson has been an invaluable source for information about Bethel during the Vietnam era. As a student from 1961-65, then as a professor of varying ranks from 1968 until his quasi-retirement in 2012 (he has taught at least one course every semester since), there are few people with a deeper institutional memory than Carlson. 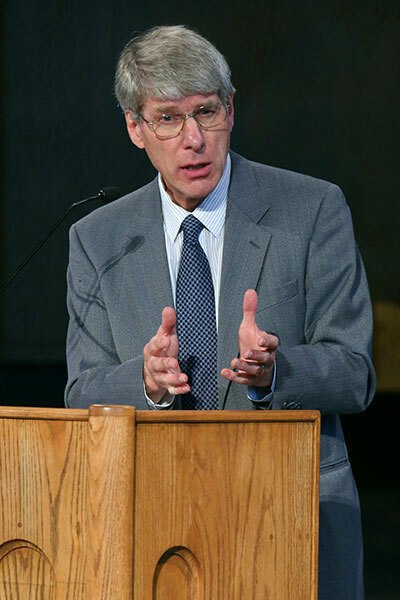 And as an historian and political scientist, Carlson is uniquely placed to document Bethel’s history. The basement of his house in Saint Paul contains his legendary library and files and rivals The History Center at Bethel. Thus, when I began researching the COs at Bethel, Carlson was the first person I turned to. In addition to the two hour interview he granted, Carlson dropped into my hands several thick folders of material, including his complete file of letters written to draft boards in support of CO applicants, a file of CO statements students had written for their applications, a set of surveys of Bethel COs conducted by Cedric Broughton, a student who researched the draft at Bethel in 1976, and Cedric’s completed paper. Although a treasure trove, the documents have limitations. In the first place, for as many as there are, the collection is fragmentary. 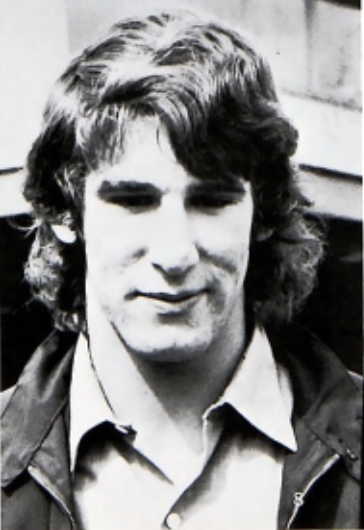 Cedric’s survey list detailing the names and addresses of the men he mailed surveys to in 1976 contains the largest list of CO names — twenty — but not nearly all of those names have corresponding CO statements, survey responses, or Carlson letters to the draft board. Eight of the men did not respond to the survey and there is one response with no name and no clear match to the handwriting found in the other documents. The files contain six CO statements students made to their draft boards, and eight letters Carlson wrote for students, not all of which overlap. 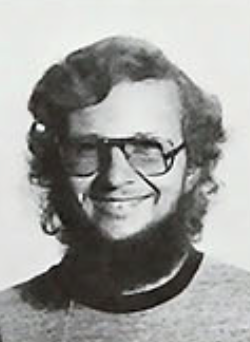 Additionally, some of the statements students made in their written documents suggest that Carlson was only one of six named professors who counseled students about their CO decision; it is entirely possible that these other professors have or had files pertaining to the students on my lists, or entirely different students. At the very least, I know of at least one CO student whose names appears nowhere in Carlson’s files. Finally, my dating of the materials is imprecise and in some cases impossible. Beyond the physical challenges, there are ethical and privacy issues. Many of the documents contain Social Security numbers and other private data which I have redacted from this study. Furthermore, I’m not certain whether the fact that these particular students were COs is a public matter; Carlson’s files were gained through his official capacity at the school and likely retain some degree of privacy expectations. Thankfully, Cedric Broughton’s work in 1976 forged a path forward. When soliciting survey responses, Cedric included a permissions release for both the survey answers and the CO statements of his subjects. Excepting one student who refused permission on both counts, all gave approval for the use of their materials. I have excluded that student’s information from this study beyond counting him in my total number of COs at Bethel. 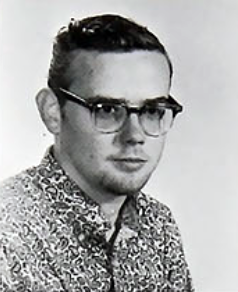 And while Cedric’s permissions did not mention the possibility of further research, I have decided that releasing one’s information in 1976, three years after the draft ended and before many of the wounds from Vietnam had healed, suggests counting on their consent to a research project in 2015 is probable. Demographically, the Bethel COs reveal few surprises. The thirteen men whose applications could be dated with some level of confidence show that Bethel’s CO activity began in 1968, peaked in 1970-71, and ended (at least those COs relevant to the Vietnam era) in 1975. This pattern roughly mirrors the data John Hagan has collected on draft evaders in Canada — albeit shifted by three years: a rapid climb, peak, then a gradual lessening in the numbers.⁶² The church backgrounds of the COs are somewhat more interesting. 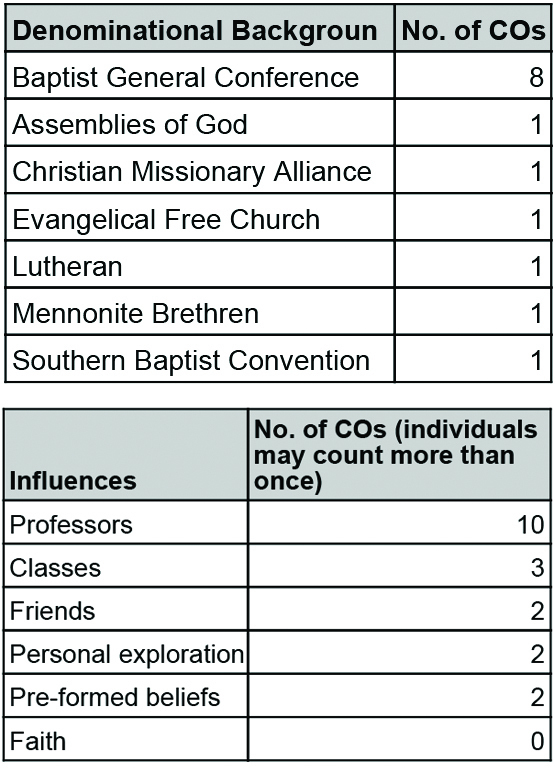 Eight of fourteen indicated backgrounds in the Baptist General Conference — unsurprising given the predominance of that denomination among Bethel’s student population — while one each mentioned experience in the Assemblies of God, Christian and Missionary Alliance, Evangelical Free Church, (unspecified) Lutheran church, Mennonite Brethren, and Southern Baptist Convention. Church backgrounds become somewhat more interesting when considering various motivations the COs expressed for their decision. By tabulating the different influences COs mentioned in response to an item on the Broughton survey (item 4, “Describe what influence, if any, a counselor at Bethel had upon your CO status”), we can arrive at a rough measure of the kinds of motivations students experienced. With ten incidences, Bethel professors were clearly the most influential on the students’ decisions to file for CO status. Classes and classwork were mentioned three times, and friends, personal exploration, and pre-formed beliefs were each mentioned twice. No student mentioned faith as an influence on how they arrived at their CO decision; it is probable that students assumed this influence so strongly that they did not mention it in their survey answers. Two students who indicated their CO beliefs were fully formed by the time they arrived at Bethel — Roger Wiens and Ken Rizzuti — perhaps not incidentally, were the same two who indicated a background in the Mennonite Brethren, one of the historic peace churches. 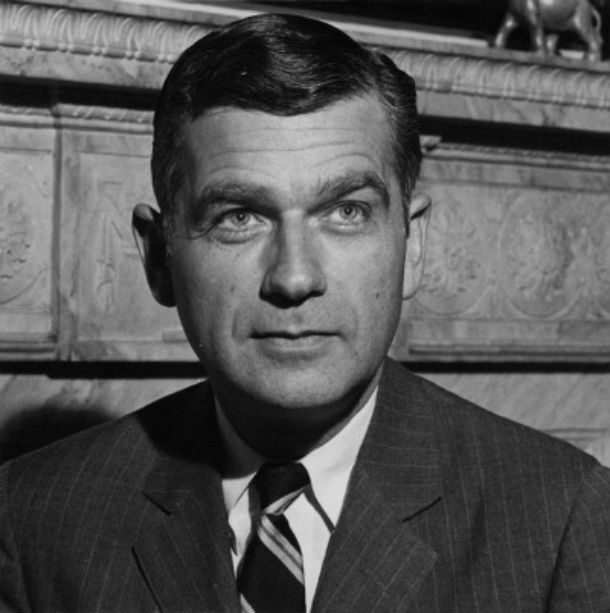 Indeed, Dave Heikkila outright denied any connection between Vietnam and his CO decision, saying “my feelings on the Viet Nam campaign had no bearing on the CO decision. My decision was based on the ethical and Biblical issues.” While it is difficult to accept uncritically that no such connection existed — after all, the issue of Selective Conscientious Objection had been litigated during Vietnam like no previous war — some students went to unexpected lengths to secure a CO if their position was based only on Vietnam.⁷⁰ Jack Priggen was one such student. Priggen had secured a II-S student deferment as a result of his study at Bethel, but when he drew a 354 in the December 1 lottery — leaving almost no chance he would be drafted in the coming year — Priggen initially decided to revert to I-A for the year in order to expire his eligibility. Partway through the year, Priggen had a change of heart: “I have become aware however that since I am a conscientious objector and have been for some time, I was being inconsistent by carrying a draft card with a I-A classification.”⁷¹ Although it was easier for him to simply retain the I-A classification for the remainder of 1970, Priggen felt his conscience demanded he go through the trouble of applying for CO status. 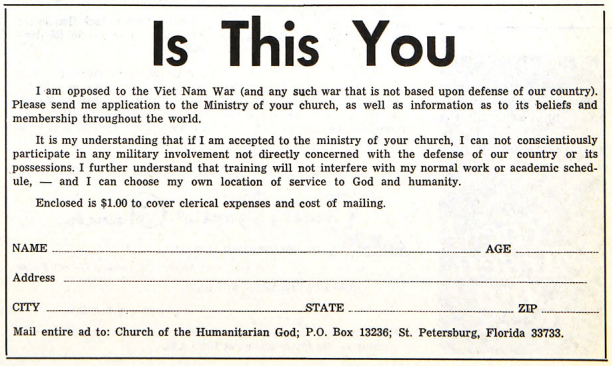 During the majority of the Vietnam era then, in order to receive CO status, an applicant had to document through two forms, letters of support, and corroborating evidence their sincere and longstanding opposition to all forms of warfare and violence which was founded on a moral or religious principle and inculcated through religious training. In spite of wide support among religious organizations for the principle, the law did not recognize objection to specific war — the so-called “Selective Conscientious Objection” (SCO) position — seeing this as politically, not religiously or philosophically motivated.⁷⁵ Indeed, the issue of SCO was one which hovered just beyond the edges of many Bethel CO’s statements. The BGC, like other denominations, had tentatively endorsed SCO in 1966 and 1969. The decision to grant or deny the CO application was left to the local draft boards. Applicants retained the right to appeal decisions, first to the local board, and then to the district and regional office. Practically speaking, the easiest way to obtain a CO, even with the revised laws, was through membership in an historic peace church. Consider the difficulty of proving a sincere pacifism grounded in theological commitment in light of the composition of most draft boards. Overwhelmingly, board members were older, rural, and veterans of World War II or Korea with little sympathy for pacifism. Furthermore, with little or no theological education, board members were hardly ideally placed to understand the sometimes complicated arguments COs put forward. Bethel COs responded almost uniformly to the hurdle the system imposed with a strategy highly revelatory of the theological priorities (and shatterpoints) of a mid-century evangelical subculture. The first priority of the Bethel COs in their statements to their draft boards was to establish the Bible as an authority structure for their lives. Focusing on the inspiration and universal applicability of the Bible as a guide to morals, faith, and doctrine, the Bethel COs took great care to convey a deep level of respect and adherence to the Bible. Having established the Bible as the bedrock of faith, the Bethel COs moved towards developing an understanding of how to read the Bible. In most cases, students constructed a literalist, dispensationalist hermeneutic, positioning the New Testament as the inheritor and successor to the Old. In other words, where the two conflicted, the New Testament took precedence as the latest installment in a progressive revelation of the gospel. This construction allowed several COs to sidestep various counter-arguments centering on Israel’s Old Testament participation in divinely sanctioned warfare. 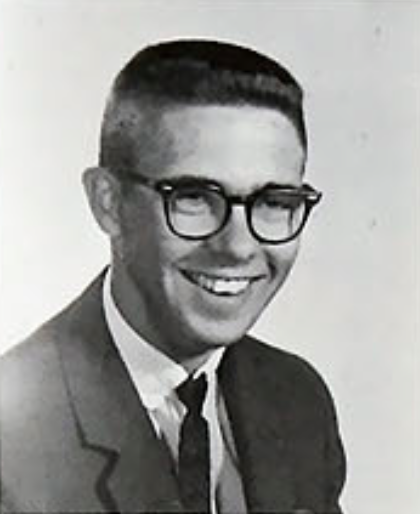 While Stephen Henry concluded that “there is a fundamental incompatibility between war and the demands of my Christian faith of love toward my enemy.”⁸¹ Jack Priggen agreed, arguing that he “must believe in Christ and his teachings if [he was] to claim Him and his teachings as grounds for refusing to take part in any and all acts of violence.”⁸² Priggen then discussed the Great Commandment (“Thou shalt love the Lord thy God with all thy heart, and with all thy soul, and with all thy mind. This is the first and great commandment. And the second is like unto it, Thou shalt love thy neighbour as thyself” (Matthew 22:35-40)) as well as twelve other verses which he argued established that “Jesus develops the ethic of non-retaliation and love of enemies.”⁸³ That was a sentiment that Bill Painter also arrived at, concluding that the “prevailing atmosphere” of the entire New Testament, an atmosphere created by the teachings of Christ which called the believer to live with love as He did and to live a “qualitatively different life from those who reject him” also called the believer to a CO witness.⁸⁴ While Stephen Henry spend several pages debunking counterarguments (“render unto Caesar,” “war is a necessary evil,” the wars of the Old Testament, etc), most COs kept their statements positively focused on explaining their pacifism in light of Biblical evidence. With the exception of Zaffke, all Bethel COs followed the same, straightforward strategy: establish the Bible as an authority, qualify how the Bible should be read, prove their own bona fides as born again Christian, then make an exegetical argument centering on the New Testament verses in which Jesus urges forgiveness for enemies, peacemaking, and turning the other cheek. It was a strategy that revealed much about the unconscious assumptions of these mid-century evangelicals. First, the repetition of the same narrative across six CO statements and seven years suggests a deeper unity of approach, a unity I argue is provided by the assumptions of evangelical culture. While this is hardly the place for an extended examination of the historical development of evangelical theology, it is worth noting several identifiers of evangelical theology and how they influenced the form Bethel’s CO statements took. First, the focus on the Bible as authority assumed an inerrantist understanding of scripture — the Biblicist leg of Bebbington’s quadrilateral — one not necessarily shared by the draft board readers. Conversionism (the second Bebbington distinctive) as a means to authority is also classically evangelical, and underlies the importance the Bethel COs placed on narrating their conversion experiences. Likewise, the Bethel COs reflected evangelicalism’s — and particularly Baptists’ — purposeful lack of a magisterium, an authoritative body for adjudicating the Biblical text. The result was a decentralized theology which placed the believer’s personal reading of the text above any declaration of a denomination. That in turn led to a focus on exegetical argument, an approach underlined by the assumed rationality of scripture and its perspicaciousness by the ordinary believer — a belief rooted in the American evangelical incorporation of the 18th century Scottish commonsense realist approach to text. The result was a mixed bag. On the one hand, Bethel’s CO created statements which were accurate reflections of their own theological backgrounds and priorities. 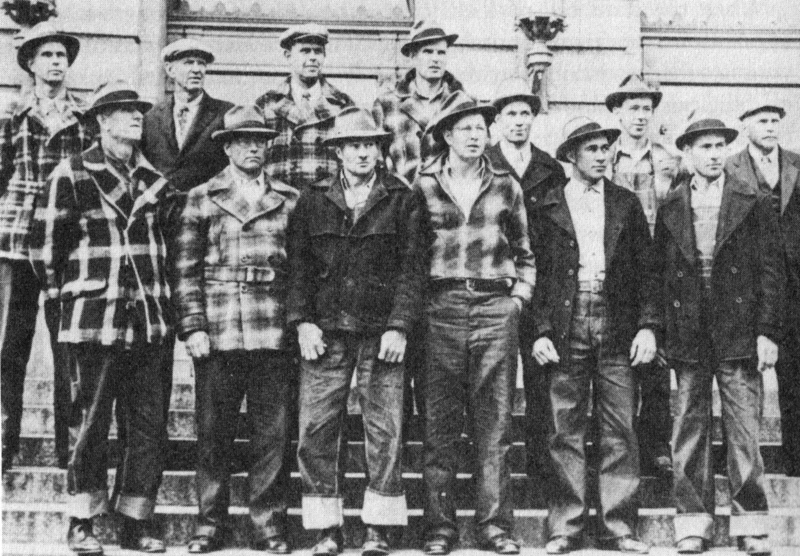 If the CO process was a contest to prove depth of feeling and sincerity, which since the reform of the system in 1940 it certainly was, the Bethel’s COs accomplished their task well. However, by largely eschewing the theological heritage of the BGC and the other faith traditions represented, the Bethel COs complicated their task. By far the easiest way to prove genuine CO conviction was to submit proof of membership in a denomination which had a documented, historic opposition to war. Two COs tried to incorporate this approach into their statements in addition to the aforementioned strategy. Both Dave Heikkila and Harold Conrad looked to statements issued by the BGC during the interwar era which denounced war and violence. 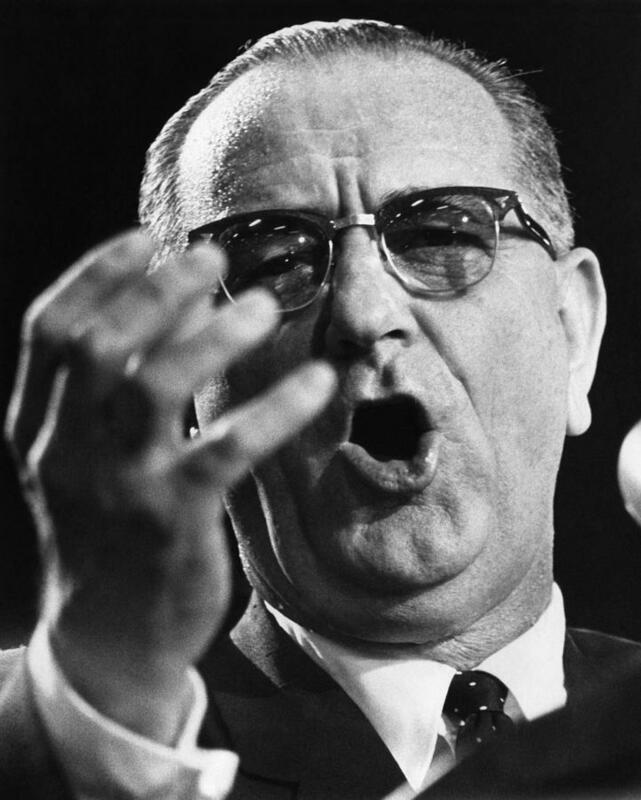 After reviewing several such statements, Heikkila concluded that “in short, the BGC has been refusing to cling to past positions [on war].” Conrad’s application included an article from the Bethel Seminary publication Diakrisis which was reprinted in the Clarion. The article documented the same phenomenon Heikkila identified and joined him in suggesting the BGC had a defensible pacifist heritage.⁸⁶ It is an argument taken up by recent Bethel alumni Taylor Ferda in his History Senior thesis. 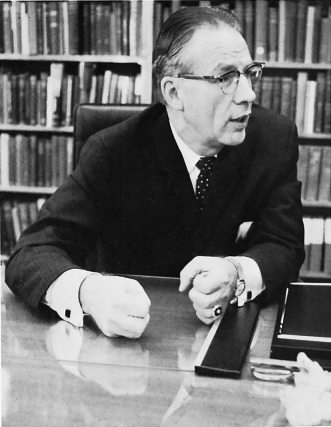 Like Heikkila, Conrad, and the Seminary author, Ferda concluded that the BGC had cultivated a genuine pacifist theological heritage in the 1930s. Chris Gehrz has contested that idea elsewhere, and while Ferda and the others’ arguments are interesting, I suspect Gehrz is ultimately correct; the BGC pacifist phase in the 1930s was more an aberrant symptom of the world-wide trend toward religiously-backed pacifist sentiment in the wake of World War I and did not represent a natural outgrowth of BGC theology. Having said that, both Heikkila and Conrad’s draft boards found their evidence convincing. In all, Bethel’s COs were fairly successful. 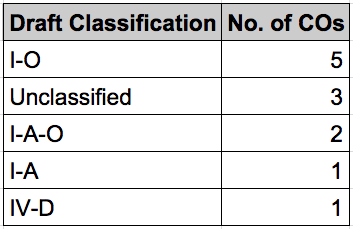 Four were granted CO status on their first application, five more won on appeal, and four were never classified for various reasons but never served in the armed forces. Five were granted I-O status (objecting to all military service, even non-combatant), two I-A-O (available for non-combatant military service), and one each I-A (draftable) and IV-D (ministerial/divinity student deferment). What is clear from the different responses is that COs at Bethel experienced different levels of support depending on their social circles. 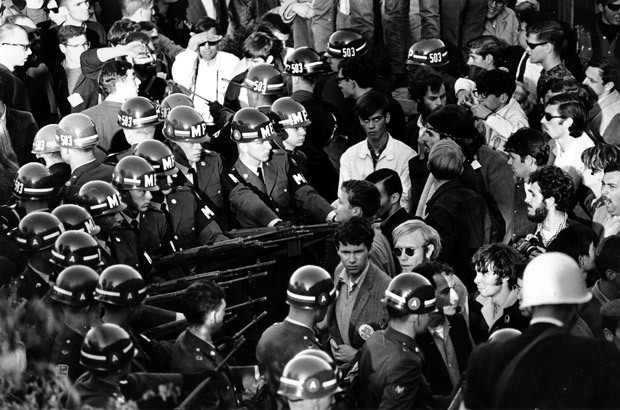 While many had only a few close friends who also participated in anti-war activity, several encountered resistance from students. It seems likely that most COs kept their positions relatively quiet, even if they were visibly involved in protest activities. With respect to the different receptions Bethel COs recorded, I think Heikkila’s assessment is about right. While more of a subtext to the larger debates about the war in general, the draft debate at Bethel raised tempers and fired emotions, enough to bring a tenured English professor to the point of physical violence against Marine recruiters. Amidst the detail and the stories, it is important to not lose sight of the fact that the draft was a large, bureaucratic system that arbitrated life and death for millions of young men across the country. 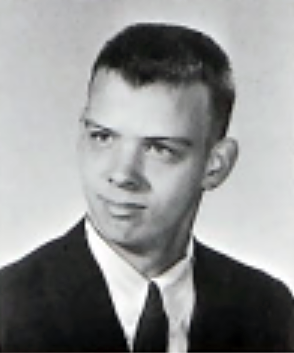 When I consider my own draft number had I been born in 1951 (18), I find it impossibly easy to empathize with the choices Bethel students wrestled with nearly fifty years ago. That reason alone suggests how important it is to truly understand the issues the draft raised and the position of the CO. At Bethel at least, no other facet of the war so directly lays bare the grist of Vietnam. ¹ “Lottery has Bethel Men Reconsidering the Future,” The Clarion 1969-12-12. ² Roger Wiens, “Questionnaire,” Responses to 1976 Cedric Broughton survey, Personal collection of G. William Carlson (hereafter GWC). ³ David Heikkila, “Questionnaire,” Responses to 1976 Cedric Broughton survey, GWC, 3. ⁴ William Carlson, interview by Fletcher Warren, St. Paul, 2014. Author’s personal collection. 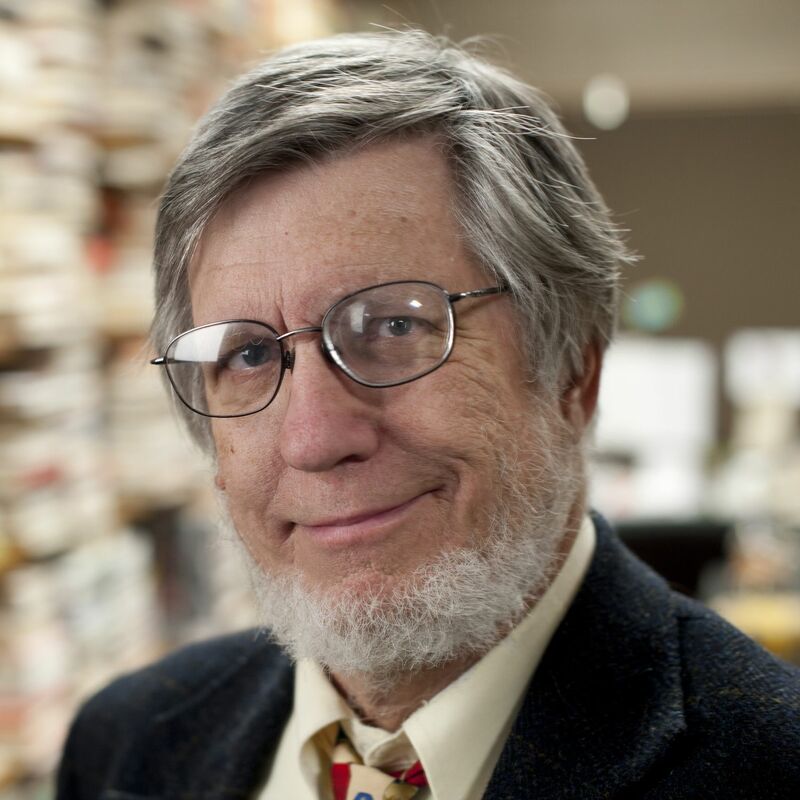 ⁵ Don Looser, “What Plagues College Men? – The Draft,” The Clarion 1966-11-17. ⁶ “Computer Finagles Bethel Gathering, Reveals Ideal Girl for Bethel Man,” The Clarion 1967-03-09. ⁷ George G. Flynn, The Draft, 1940-1973 (Lawrence, KS: University Press of Kansas, 1993), 7. ¹¹ Selective Service System Induction Statistics, https://www.sss.gov/About/History-And-Records/Induction-Statistics, Accessed 2015-09-02. ¹² Flynn, The Draft, 169. ¹³ “Office Wants Forms,” The Clarion 1963-10-01. 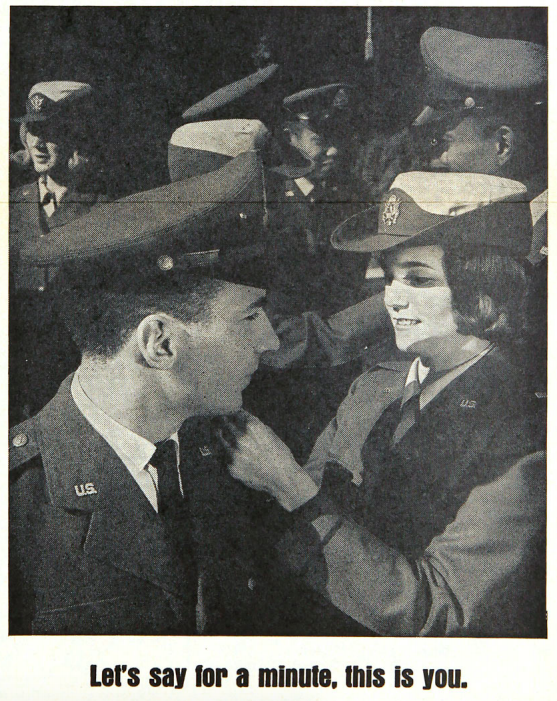 ¹⁴ Air Force Advertisement, The Clarion 1964-05-20. ¹⁵ “Bethel College Faculty Minutes for March 16, 1965,” Minutes, Reports, and Notices of the College Faculty, 1960-1965, The History Center: Archives of the Baptist General Conference and Bethel University (hereafter HC). ¹⁶ Doug Ring, “National Front Lacks Cohesiveness; Vietnam Differences Lead to Strife,” The Clarion 1966-05-18. 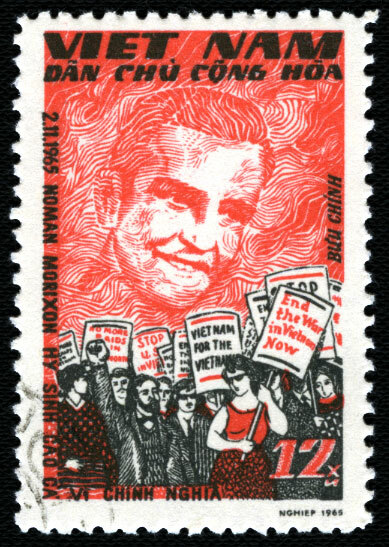 ¹⁷ John Sailhamer, “Diagnosis for Vietnamese Maladies Seek Aggressive American Policies,” The Clarion 1966-09-28. 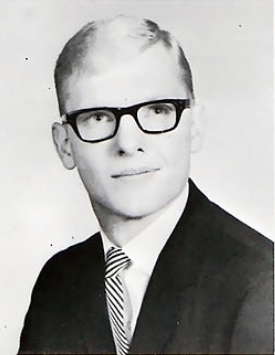 ¹⁸ Cedric Broughton, “Reaction at Bethel College to Military Service and the Vietnam War, 1962-1972,” History senior thesis, Bethel University, GWC, 7. ¹⁹ Roger Rapoport, “Canada Becomes ‘Haven of Release’ for American Youth Escaping Draft,” The Clarion 1966-10-27. 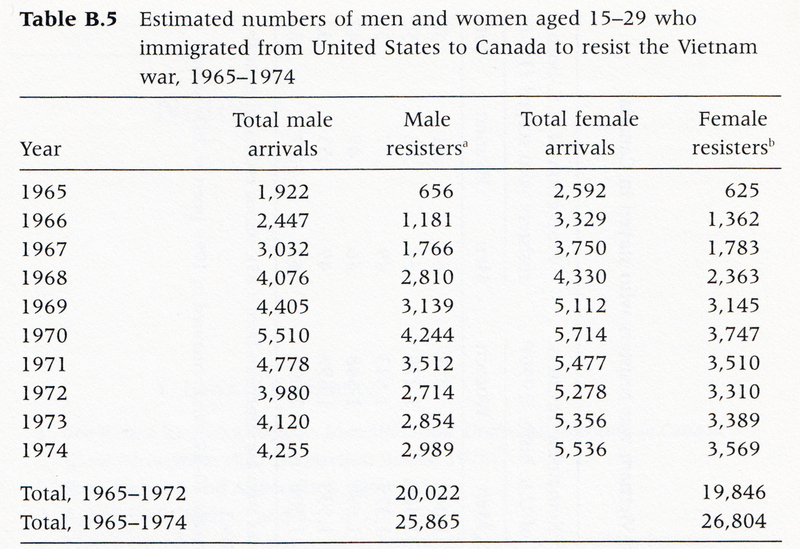 ²⁰ Roger Rapoport, “Canadians Welcome Draft Dodgers,” The Clarion 1966-11-03. ²¹ John Hagan, Northern Passage: American Vietnam War Resisters in Canada (Cambridge, MA: Harvard University Press, 2001), 241. ²⁷ David Swartz, Moral Minority: The Evangelical Left in an Age of Conservatism (Philadelphia: University of Pennsylvania Press, 2014). ²⁸ Mark Hatfield, “Fellowcitizens,” The Clarion 1967-05-04. ²⁹ “Pastor Looks at Draft Problems,” The Clarion 1967-05-18. ³⁰ Selective Service System Induction Statistics. ³¹ Flynn, The Draft, 221-2. ³² Philip Linden, interview with Fletcher Warren, Bremerton WA, 2015. Author’s personal collection. ³³ Flynn, The Draft, 183-4. ³⁷ “Student Senate Minutes No. 11 January 9, 1968,” Student Senate Minutes 1961-1971, Box 1, HC. ³⁹ “Student Senate Minutes No. 12 January 18, 1968,” Student Senate Minutes 1961-1971, Box 1, HC. ⁴⁰ “Student Senate Minutes No. 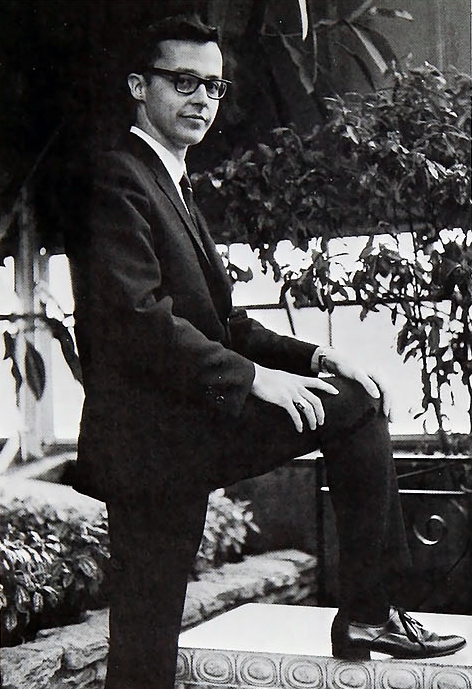 13 February 12, 1968,” Student Senate Minutes 1961-1971, HC. ⁴¹ Richard Westby, “Peace Table Draws Praise,” The Clarion 1969-02-27; Truett M. Lawson, Our Times & Our Stories: The Minnesota Baptist Conference, 1858-2008 (St. Paul, MN: The History Center, 2014), 72-73. ⁴² Thomas Askew, “The Shaping of Evangelical Higher Education Since WWII,” in Making Higher Education Christian ed. Joel Carpenter (Grand Rapids, MI: Eerdmans, 1987), 142; David Swartz, “You Know Where Else They Have May-Day Military Exhibitions?” The Anxious Bench, September 30, 2015. ⁴³ Letter from Carl Lundquist to Wendell Lawhead 1969-05-09, Lundquist Presidential Papers, Box 1, Folder 1, HC. 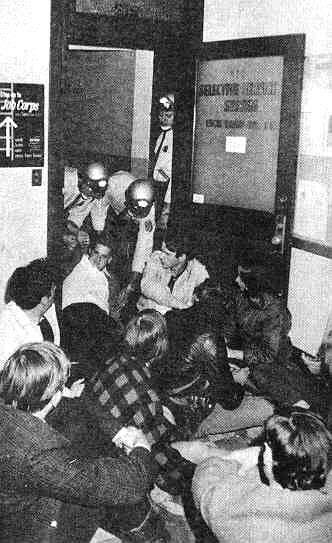 ⁴⁴ “Army Recruiters Visit Campus; Face Orderly Student Protests,” The Clarion 1968-02-22. ⁴⁵ Jon Fagerson, “Letter to the Editor,” The Clarion 1970-10-30. ⁴⁶ Evan Anderson, “Christian History: Past and Present,” The Clarion 1970-11-20. ⁴⁷ Flynn, The Draft, 229-35. ⁵² Carlson, interview by Fletcher Warren. ⁵³ 1969 Spire [Bethel Yearbook], 27. ⁵⁴ “Lottery has Bethel Men Reconsidering Future,” The Clarion 1969-12-12. ⁵⁵ “‘Beaver’ Raid Damages Draft Records Statewide,” The Clarion 1970-03-06. ⁵⁶ “Mobe Encourages Obedience to Draft in ‘Paperwork War,’” The Clarion 1970-03-20. ⁵⁷ Malcolm Avey, “Letter to the Editor,” The Clarion 1969-10-17. ⁵⁸ Carlson, interview by Fletcher Warren. ⁵⁹ Sam Griffith, “Questionnaire,” Responses to 1976 Cedric Broughton survey, GWC. ⁶⁰ Carlson, interview by Fletcher Warren. ⁶¹ Memo from Student Services Office to Faculty, December 1970, Minutes, Reports, and Notices of the College Faculty, 1965-1970, HC. ⁶² Hagan, Northern Passage, 19. ⁶⁴ Bob Goodsell to Fletcher Warren, Personal email correspondence, 2014-07-30. ⁶⁵ Harold Conrad, “Questionnaire,” Responses to 1976 Cedric Broughton survey, GWC. ⁶⁸ Joel Anderson, “Questionnaire,” Responses to 1976 Cedric Broughton survey, GWC. ⁶⁹ Ken Rizzuti, “Questionnaire,” Responses to 1976 Cedric Broughton survey, GWC; R. Mark Steward, “Questionnaire,” Responses to 1976 Cedric Broughton survey, GWC. ⁷⁰ Flynn, The Draft, 179. ⁷¹ Jack Priggen, Conscientious Objector Statement, GWC. 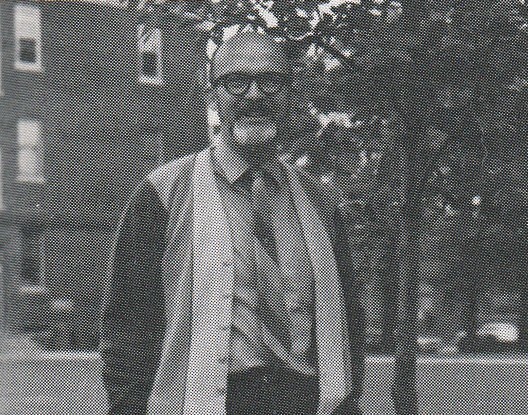 ⁷² Melvin Gingerich, Service for Peace, A History of Mennonite Civilian Public Service (Mennonite Central Committee, 1949), 11. ⁷³ Flynn, The Draft, 14-15. ⁷⁶ Harold Conrad, Conscientious Objector Statement, GWC. ⁷⁷ Al Mullins, Conscientious Objector Statement, GWC. ⁸¹ Stephen Henry, Conscientious Objector Statement, GWC. ⁸⁴ Bill Painter, Conscientious Objector Statement, GWC. 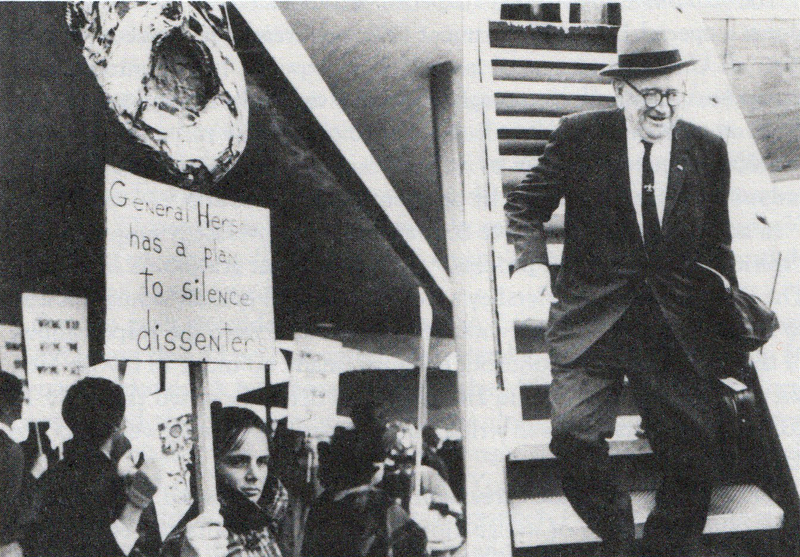 ⁸⁵ Maurice Zaffke, Conscientious Objector Statement, GWC. ⁸⁶ Mark Olson, “Whiter Orthodoxy,” The Clarion 1970-12-11. ⁸⁸ Dave Shupe, Conscientious Objector Statement, GWC. ⁹⁵ Douglas Gordh, “Questionnaire,” Responses to 1976 Cedric Broughton survey, GWC. ⁹⁸ Richard Evans to Fletcher Warren, Personal email correspondence, 2014-11-22. ¹⁰⁰ Carlson, interview by Fletcher Warren.